In very simple terms, Sam Vinciullo is making some of the most exciting wine in Australia. He recently returned home to Western Australia, following years spent working in California, other parts of Australia and, notably, Mt Etna where he worked with, among others, Frank Cornelissen. He is an excellent guy and is highly, highly enthusiastic about progressive farming and biodiversity. For his first vintage (2015) since returning home, Sam has bought fruit from the parcel farmed by his friends Iwo and Sarah from Si Vintners (also among Australia’s most exciting vignerons). This vineyard is roughly 3 kilometers from their home vineyard and on similar soils, a mix of loam and classical red gravel. Iwo and Sarah have been dry farming this parcel (pictured) for several years, organically, and the fruit quality, clearly evident in both Sam’s wines and theirs, is outstanding. In terms of winemaking, Sam is fanatical about cleanliness and fruit selection. Perfect fruit is fermented, without temperature control, allowed to go through malolactic conversion and bottling takes place anywhere between 5 and 10 months, depending on the style of the vintage. Sam is particularly eager to express the terroir, especially in terms of retaining primary flavours and aromas in the wines, and as such, the wines are an extraordinarily pure representation of this part of Margaret River. 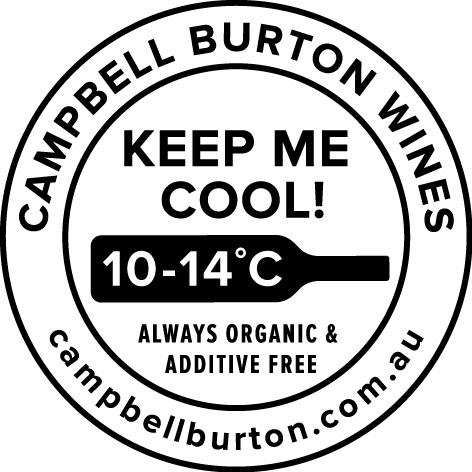 Post fermentation and pressing, the wines are handled very, very little and retain a small amount of dissolved carbon dioxide. The wines are not fined or filtered, nor do they have any elevage in oak and sulphur is not used at any stage of the winemaking or bottling. The first time I visited Sam to taste the wines and see the site I was unbelievably impressed. The wines are the work of a very talented vigneron who has a very real and clear understanding of the benefits of healthy, living bacteria in the vineyard and winery and how to work with it. Sam has just taken the lease on his own farm in Margaret River and I couldn’t be happier for him. I’m very, very excited about these wines.